of the finest positions in Markdale. Forming part of a select residential neighbourhood which has slowly developed over the years. 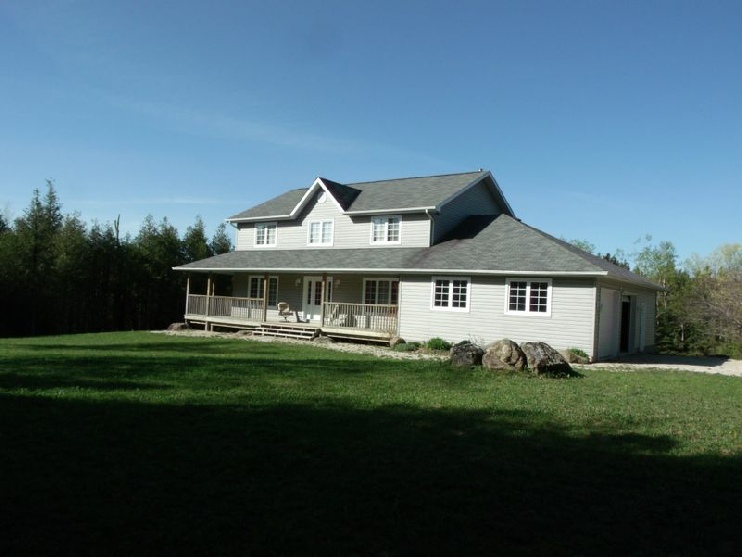 This fantastic family sized property is located in close proximity to the town of Markdale. This superior double fronted detached house was built in approximately 2002 by a local builder. Since the house was built it has only been occupied for a few weeks per year. The interior has been designed to take full advantage of the sunny aspect and glorious outlook. The home is set in approximately 17.5 acres with lawns surrounding the house. The area is well favoured for its schools and shopping and other amenities.